Feel like you are in the room with Mildred talking right at you. The original inhabitants of this area were the Yoncalla Indians, the southernmost band of the Kalapuya Tribe of Native Americans. The Scottish botanist, David Douglas visited the area in 1826. Douglas County was later named after him. Trappers began coming to take advantage of the lucrative fur markets and in 1832 the British-owned Hudsons Bay Company built Fort Elkton, the first major settlement of non-Indians in the area. In 1843, settlers began coming in large wagon trains from the east coast and in 1850 the US government encouraged them by making free land available via the Donation Land Claim Act. The town of Oakland was established that same year. In 1856, those Native Americans who had not died of the white man’s diseases were moved from the land to the Grand Ronde Reservation, north near Lincoln City, Oregon. 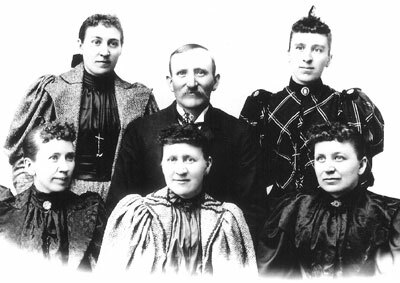 In 1870, Thomas Baimbridge and his wife Emily arrived in Oregon with five children, having lost one to illness during the trip from England. They had come to join friends and relatives already living in an area called the English Settlement east of the town of Oakland. In 1872 they rented a ranch from Winslow Powers, and purchased it several years later. The 647.66 acres they purchased was made up of Powers Donation Land Claim of 320 acres and the 327.66 acre Donation Land Claim across the road of Joseph Deardorff. Powers had purchased the Deardorff claim in 1859. The Baimbridges had one more child, Sarah Alice, who was born 1876 in the house that is still standing in Mildred Kanipe Memorial Park. She grew up there and married John Kanipe. They had two daughters, Leah (born 1905) and Mary Mildred (born 1907), who always went by Mildred. Mildred Kanipe never married. She stayed home and helped her father with the ranch chores. Her mother died shortly after she was born and her Aunt Mary moved in and raised the two girls. When John Kanipe passed away in 1940, the part of the ranch that included the house and barns and the English Settlement School, became Mildred’s. Her sister, Leah, inherited the part on the other side of the road. Mildred loved land. When only a young woman she save her money and purchased 167 acres. When her father passed away she inherited 290.77 acres of the land her grandfather had purchased. She then had two separate pieces of property. In 1949 she solved the problem by purchasing the neighboring Underwood Ranch of 633 acres that joined the two giving her a total 1,090.77 acres, or what is often referred to as “just under 1,100 acres”. 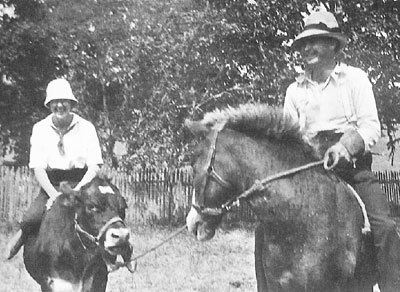 Mildred ran her ranch by herself with the occasional help of a hired hand or high school boys. She raised cattle, sheep, goats, rabbits, chickens, and hay. In the 1940s she also ran a dairy, which, it is said, provided the money to purchase the Underwood place. Her Aunt Mary, who stayed on until she died in 1955, provided much needed assistance with the household chores. The school building that is there today is the second or third English Settlement School building—records are scanty and differ. The first one, a log cabin, was built in 1859 in another location. The building that still stands in 2010 was apparently built around 1910, but records differ on that too. We do know that both Mildred and her sister attended and graduated from this school before going to high school in Oakland. Her sister Leah came back and taught for two years in the school. The building was last used as a school in 1930. 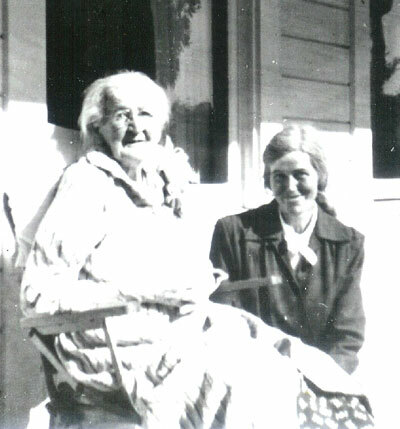 In 1983, at the age of 75, Mildred Kanipe passed away and left her ranch to the people of Douglas County for a park. Since that time many have enjoyed her gift. Mildred’s will contains some very specific conditions, one, which makes it very difficult to do any logging in the park, has caused a lot of anger for some and gratitude from others. For more information about the history of the land and the people associated with it, see FOR LOVE OF THE LAND, The Legacy of Mildred Kanipe, by Lois Christiansen Eagleton. It is available at local bookstores, Central Feed in Sutherlin, The Douglas County Museum, and on the Internet at Amazon.com and here.